I think there might be a connectivity issue between the SWR50 and the phone/app. Mind that the SWR50 has the old Wear OS 1.5 -Wear OS 2 appeared some 2 years ago. I got a Huawei SmartWatch 2 a little while ago and its precision counting steps has increased a lot if we compare it with the SWR50. One major difference is that the step count will not increase unless we effectively changed position by a significant distance, unlike the SWR50 that detected steps by simply moving the wrist. The sync is quicker and so far I haven't seen too many deleted steps from walks or workouts. I would understand a small difference, unlike the SWR50, where I knew I had walked or run a distance (I remember a situation having run for 40 minutes) as detected by the watch, it was deleted during the sync with the phone app and never recorded. Problem is I don't fel like spending money on new stuff. It should be in Sonys interest to solve issues like these if they want to keep their customers. I've been suffering from this problem for a few months now, till last week I suddenly observed that the battery was discharging extra quickly on the watch than normal (within a day compared to every other day as in the past). I checked the settings and realised my 'Always on' option for the screen was on, so I deactivated it. Then after recharging the battery to full, it dawned on me that the steps resetting issue always seemed to coincide with the battery on the phone running low or completely flat at the midnight mark when the steps count resets to 0. Since that observation, I have made a point of fully charging the watch each day regardless of whether it was at 75% or 10% charge. And since that time the steps count resets to 0 at the end of the day as before but picks right back up counting without the need to unpair and restart. 4 days and going strong so far. I'll keep an eye out for any changes over the next few weeks, but thought I'd mention it in case the same scenario applies to other frustrated owners on this forum. I was using the watch with Samsung Galaxy J5 which was fine. Then I bought a new phone: Samsung Galaxy S9 and needed to reconnect the watch with my new phone. Since then the watch doesn't count any steps. You can enable the developer mode on your watch and enter the manufacturer menu. From here tap on "Step Counter" and you will see the steps count for the current day. steps are not shown in any watchface. And also the new version of google fit can't be installed. This does not work unfortunately. Hi all, I have been playing around with the watch for a while now in order to find a solution, and taking the suggestion from one of the previous post I think I may have found one. The issue here is just on the software side, and since I am no programmer, I tried a way to go around the problem. So the issue started to appear since Wear Os 2, all good with the previous versions, so I thought, why not installing an old version of the software? So I did, I jumped online and got myself the apk of Android Wear 1.5 (android-wear-1-5-0-2951640), deleted Wear Os 2 from the phone, unpaired the watch, installed the apk and paired the watch again. After all was completed the watch displayed the steps on the widget again. - The watch seems to keep count only locally, so no interaction with G. Fit occours just as yet. I will try to install an older version of G. Fit and see the results. I noticed that someone was lamenting that the watch battery discharges really quickly. This is something I have been experiencig as well, but managed to fix a couple of months ago. What is draining the battery is actually the voice recognition funtion or "Ok Google" (the label of which is also annoyngly omnipresent on the watchfaces). Just browse the watch setting and disable the Microfone function. This will prevent the watch to stay in the listen mode all the time and thus battery. - Quite obvious, no more voice recognition capabilities. ...So in conclusion, we can happily (sarcastic) say that the watch is not supported any longer and Sony failed to keep his customers happy. Sony Smartwatch 3 it is not so smart anymore but just a digital watch with poor battery life and mutilated capabilities. Smartwatch 3 are really good watches you can instal and buy app like wear email, wear videos, photos, internet viewer, massages etc. I buy these apps and they work really good without lags. 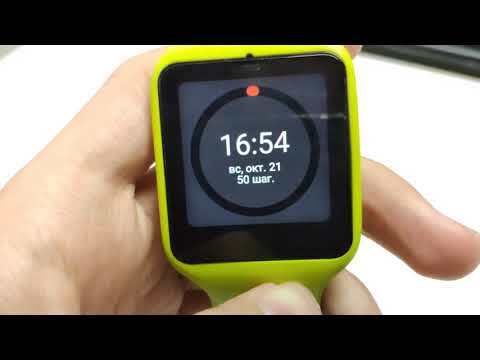 I connected my watch via USB with my PC, enabled the adb debugging in the developer section of the smartwatch and then installed few versions of google fit. I first tried to install the newest version. Installation was OK, but it crashed all the time on my watch, then I tried version 2.01.34. And voila, it seems to work. I have a newer version of google fit (not the newest but newer than preinstalled on the watch) and also the steps counting work again. If you go higher than 2.01.34, you will get some strange bugs.. if you tap the watchface it will crash or not react at all..